With mobile-use quickly on the rise, Facebook responded by introducing Canvas ads in February 2016. 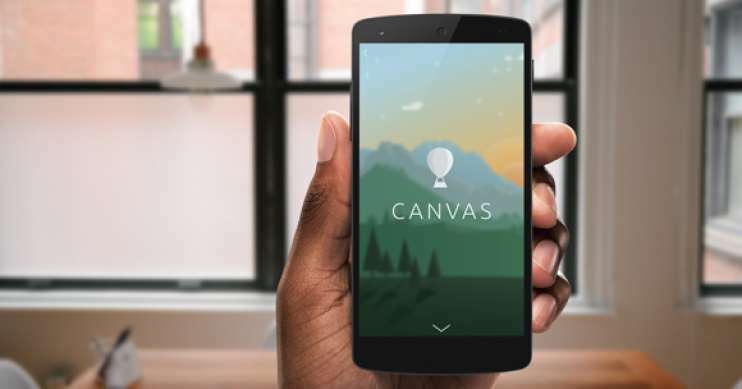 Canvas is an engaging, content-rich ad format designed for mobile devices that supports text, image, video, CTA buttons and offers the ability to scroll, tilt, swipe and zoom. Canvas allows brands to tell an interactive story, whether the goal is to showcase products or educate consumers about the brand. Canvas ads can be created in an easy-to-use, drag-and-drop format and cost no more than other Facebook ad formats. Users can explore ad features with a rich, interactive, full-screen experience, fast load times, and even purchase products without ever leaving Facebook. These Canvas ads were previously available only as sponsored post, but this week Facebook announced that they will begin rolling out Canvas for organic page posts over the coming weeks. Businesses will then be able to build Canvases from publishing tools and attach them to organic page posts, allowing them to build content-rich experiences for their audiences. We'd love to build a successful Facebook strategy for your business, with highly targeted, engaging content to attract the consumers you're looking for. Let us show you how paid and organic social media can be used to help you find new leads and sales from audiences with a high interest in your product or business. Let’s talk!